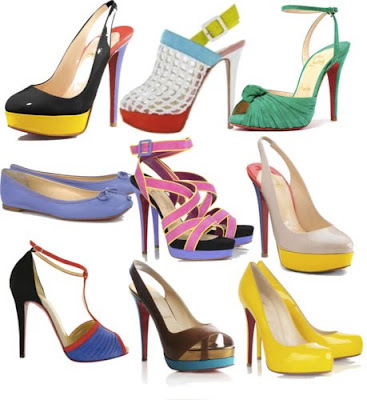 Hey, Lady Grey: shoes that go pop! I've never worn anything like this in my life, but I love the brightness and eccentricity of this season's Christian Louboutin shoes. In my imaginary world, I'd wear these to an Andy Warhol exhibit or maybe a Cyndi Lauper concert!